The last one of January, where did the month disappear to... I know was in UK for over two weeks, but it's just disappeared. I have now just about caught up and I'm getting my own systems in to place for the new year properly. I'm still happily using the A4 as my desk diary/planner, which is working great, the bigger space is even more critical now, because out of the blue our business here in France has taken off, not through the lack of trying. My wife Alison (she of the hand!) and I are property search consultants with our company Loire Thouet Property Search. So the space in my A4 gives me plenty of room to plan out appointments with agents for viewings and visits to towns. I have the job as 'wheel man' and 'shutter-man' with my camera! Also my ability to see a potentially beautiful house out of what most people would see as a pile of stones! My good sense of direction helps us find our way around some of the leafy lanes too! My pocket Chameleon continues to do sterling work as my carry around Filofax planner, in a way it duplicates some of the functions of the A4 but in a lot smaller package, it is also my wallet too. 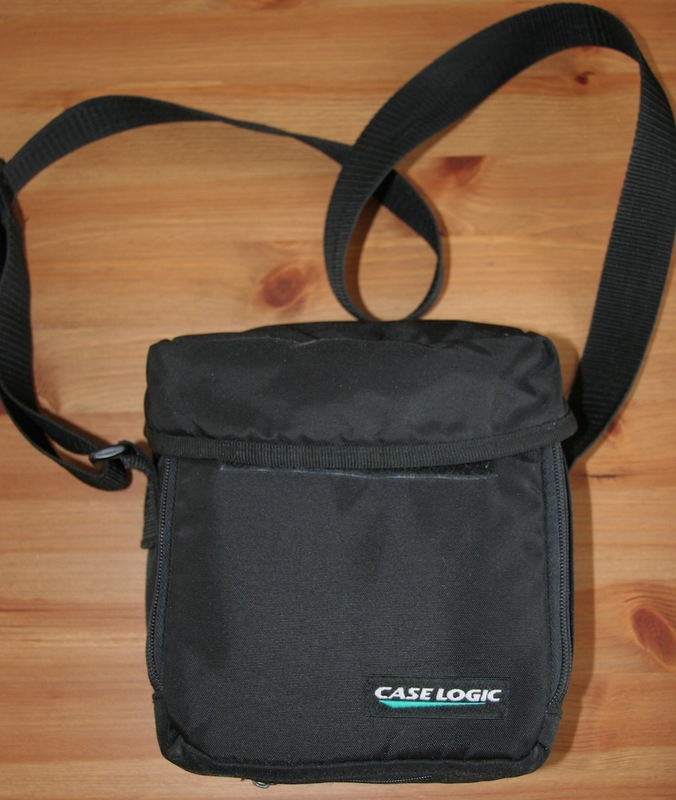 I keep looking at other bags to carry my Pocket in as well as my other stuff, but I've not found anything that can compare for ruggedness of my ex-CD Walkman shoulder bag. Today I re-jigged my Finsbury Personal Slimline as my Photography notebook. Essential when you are taking photos of say 20 different houses over 3-4 days, which one was the one in walking distance of the village bakery.... I am also keeping it as a general notebook and my central point for To-Do lists now too. Although I will most probably move these around between organisers as required. I'm also using a normal Finsbury Personal as my journal to record some of the detail of life in general on more or less day to day basis, although I often miss days. I should be better at this stuff I know! My Filofax Family - I just loved the way Lucy 'posed' all of her collection for this 'photo shoot' I can see me 'copying' some of these ideas in future posts, when the weather warms up, I will venture out beyond our Ikea coffee table which serves as the usual background for most of the pictures you see! And these are a few of my favourite things - Dottie K shows off her latest Filofax and how she has customised her phone to match it. Still working on it - Danish GTD is promising some photos of his rearranged set up, show them some support and we look forward to the seeing the pictures. Random radio jottings and other gubbins - OK not a Filofax blog, but one about radio shows in UK of yesterday year. The author is a friend of ours here in France and he has a friend in UK who I know is a Philofaxy reader... take a look and show some support. Coming up on Philofaxy soon... a quiz which I know you will find fun and might frustrate you at the same time... I'm still writing the questions, but it is shaping up nicely... watch this space as they say.. There has been a huge response in the comments to the last FFAF (60+ comments) and there has been requests before for a discussion forum to be attached to Philofaxy. So I've done some initial investigations in to this, but before we dive headlong in to having a Forum in addition to the blog, let me first of all layout as I see it, the the upside and the downside of having a discussion forum attached to the blog. It is possible that the discussion forum would dilute the comments we get on posts on the blog. The Philofaxy discussion forum would possibly duplicate the discussion group already in place on the Flickr Group. The Philofaxy discussion forum would be yet another site to visit, maintain, read etc to keep up to date with all the latest news. Before you could post on the Philofaxy discussion forum you would have to register with a Username and Password, although 'Guests' would be able to read the Forum. There would not be an easy way of tying the log in to say OpenID or your Google account, it would be completely separate, just as your Skype Account is separate. There is a risk of spam associated with the Forum, that we currently don't see with the comments. The Philofaxy discussion forum would therefore need some form of moderation and moderators would need to be appointed. There would occasionally be duplication on the blog and the forum, for instance announcements about Sales Offers, Roundtable events, Meet ups etc. But the normal blog posts about using your Filofax, or reviews etc should remain on the blog as they are now. That all said I do have extensive experience of running Forums on-line so once set up, it's well within my skill base to run the thing. It's just that I've had some bad experiences in running a Forum in the past, hence my caution. I am also cautious about forcing something on you the readers that might upset the excellent community spirit that we have built up over the last couple of years or more. I'm not predicting that would change, but in a way I'm seeking your approval/support before we add this extra facility. Click on the picture to see a full size version of it. The photos section would in fact be just a redirection link to the Philofaxy Flickr Group, I see no point in reinventing that site when it's already working very well. All the Categories/Sections can be renamed/amended/reordered and descriptions added, although I think it's fairly straight forward? Depending on the response to this idea, if people are mixed in their views I would be happy to put it to a vote on the site to decide on the addition. Or may be a trial of a discussion forum for say a couple of months to see how well it is received, what problems or benefits we gain etc? When? - Sunday 6 February from 12am (US East Coast time), 5pm London time, 6 pm Paris time etc. Hope to be chatting with you next Sunday. The inspiration for this Friday's Free for All comes from longtime reader Kerowyn, who is on a quest for a Personal Filofax that lies flat for ease of reading and writing. Of course, almost any Filofax will lie flat with enough wear, and A5s are more likely to lie flat by dint of size, but have any of you found a Personal that is designed to lie flat out of the box? As always, feel free also to expound on any other topics that are on your mind. Well after a long long wait... my Filofax Finchley Mini arrived from Yvotchka in the USA. We did a straight swap, a Pocket for a Mini. I must say I'm very pleased with the swap, thank you Yvotchka. The parcel got held up somewhere in the middle of the Christmas/Poor weather postal delays, but it made it here undamaged, including the dollar bill inside the wallet pocket! Red is certainly a new colour for me, but I quite like it and I would certainly consider others in this colour in future. So why a Mini... well in the same way that I bought the A4 Classic late last year, I felt I needed or should I say I would like to have at least one of every size of Filofax organiser, just so that I had at least one of each size. So when I write about them I am doing it from a position that I actually have one. A feeble excuse I realise, but a good enough one I think you will agree! When I sat looking at it this morning over breakfast my first thought was... travelling salesman. Back in the day, furniture salesmen would travel the country with miniatures of the wooden furniture their companies sold. These models wouldn't look out of place in a dolls house. However, in the case of the Mini Filofax it's a fully fledged Filofax, just small in size. If you were a travelling salesman for Filofax, the Mini size would be great to show the design of all the different styles for the whole range! The Mini Finchley has the same detail and quality as its big brothers (or sisters) from Mini through the sizes to A5. As with the Pocket size I use on a daily basis, you have to pick and choose the contents very carefully so you don't overload the organiser. Yvotchka kindly sent me a large variety of inserts all in cotton cream, which is delicious. During one of my recent UK visits I managed to pick up some (cheap) WHS inserts for the Mini including a one week per page diary refill, which to be honest doesn't do the Finchley justice, it deserves the extra extravagance of cotton cream or at least a Filofax plain white diary insert (added to my shopping list). Here it is next to its big brother the Chameleon Pocket. The Mini size will fit in your jeans back pocket easily, where as the Pocket size once 'fully' loaded is a bit of a squeeze. However, be careful to remove it before you sit down... I suspect the ring mechanism could very easily get bent. One size issue that would stop me from using the Mini as my Wallet/Organiser, because of its small size it can't carry my UK passport. I have to carry my passport everywhere here in France for id purposes. The UK passport does fit in to my Pocket. Apart from that, the Mini would make a very compact wallet/organiser with enough room for shopping lists, a reduced diary so if you bump in to a friend you can arrange coffee or lunch together. You could also have a few notes pages for the clothing size details of your children etc. I might use the Mini as my car Filofax, I've got my new car on order and I think it deserves a smart organiser to keep fuel records and translated details of the owners manual in it to hand. Here is the Mini pretending to be a postage stamp on my A4 Classic! And finally here is is playing king of the castle from Mini down to A4 calling at all sizes in between. Again my thanks to Yvotchka for agreeing to do the swap for the 'Pink Heart' Pocket. So as you can see our donation total has crept up to over £70, but there is still time for you to help increase the donation total and you get some lovely Filofax goodies as well. All you need to do is click on the link below, which takes you to Filofax UK, buy anything on the site, including any of the goods in the 50% off sale which is still running and the commission earned on your purchases will be added to the donation to the Breast Cancer Awareness Campaign. Thanks to everyone so far who has helped support our donations to this worthwhile charity. Let's help fight this killing disease. Help to save a mother, daughter, wife, friend, work colleague, next door neighbour, they could all be possible victims of this killer. I will post the details of our final donation total next week. It's Friday and I'm in Love - Yvotchka gets her Filofax Pocket working for her....yes! My question a few days ago about is your Filofax a He or She? got some interesting responses. But it was one of the comments from Petra that sparked another thought/idea. If you are buying another Filofax to your 'collection' do you consciously think about how this new Filofax will match or complement your current ones? Here is another reader question, on a topic that is frequently discussed here on Philofaxy: which is better, A5 or Personal size? Of course the answer depends on what you will use it for, and how much weight you are willing to carry around with you. Here is reader Deirdre's email with questions regarding her specific situation. Any advice would be welcome, please post a comment! In my quest to decide on a new filofax for graduate school, I came across your wonderful blog, and I'm enjoying reading it -- especially the posts regarding how your writers and readers use their filofaxes -- fascinating stuff! I'm writing to you because while I searched on your blog for an entry comparing the A5 and Personal size binders, I couldn't find such an entry. Have you written about this subject and I just missed it? If so, would it be possible for you to email me links to articles I might have missed, when you have a chance? Alternatively, if you haven't covered this topic, is this one you might consider in future -- such as articulating the pros and cons of the two sizes? Any help you can offer would be most appreciated. Thanks again for your wonderful blog, I plan to be a regular reader! Reader question: How to mark special appointments? Reader Ashley has a very good question about how to highlight in her Filofax without messing up the pages. Please post comments with any advice! I am also new to the Philofaxy blog and love it already! 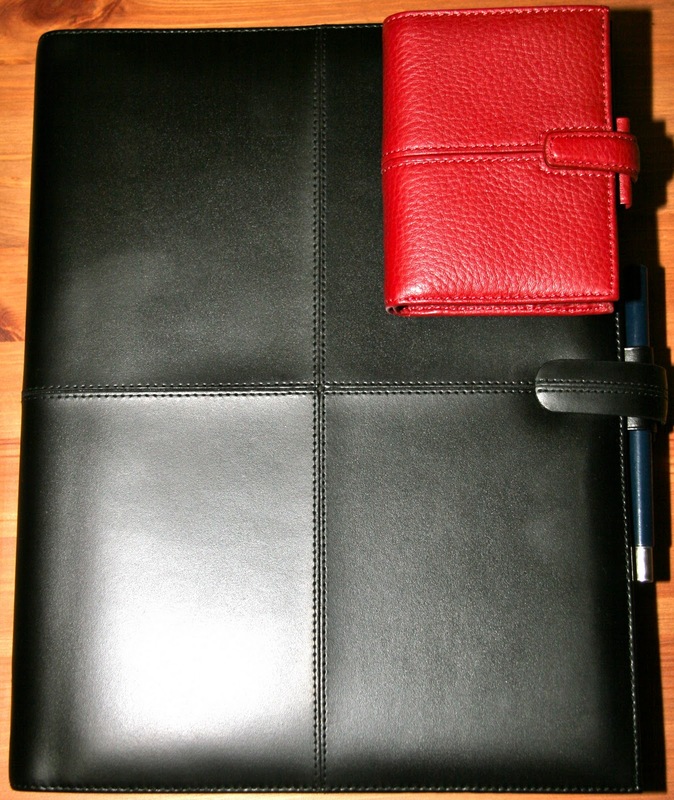 I am an absolute planning freak….and I love my new red Chameleon pocket Filofax. I also have a personal sized Metropol and Domino and a Domino pocket. Think my next purchase might be a Finsbury! I was wondering if anyone else who has used a pocket size as their day-to-day organiser could help me out – I had been highlighting in my diary (week to a view) all my important appointments (e.g. Credit card due this day). As has been mentioned in the blog, I now have realised that the pages are quite thin and the highlighting has been ruining my weeks in advance by seeping or showing through the pages. I just wondered if anyone had any good suggestions as how to highlight those important reminders in your diary without actually using a “highlighter”? I have thought of using some coloured pens and marking stars next to those important dates/appointments, but thought someone may have some better suggestions. Thanks for your help and your awesome Philofaxy blog. Is it a he or a she? Does your Filofax have a particular gender? Is it a he or a she... ? Does it have a name? I am new to Filofax, and Philofaxy, having been converted from Franklin Covey, so Laurie suggested I ask for some advice here. I am thinking about getting either the Domino Pocket, the Finsbury Pocket, or the Metropol Pocket. I am going to graduate school in September, and would like to be able to incorporate notes on assignments, my thesis, book ideas, yoga journaling etc. within the planner as well. I have tried to do this many times before, but have failed. For some reason, with my planning and journaling, I want them to be separate from one another. My planner for organization and my journal for well, journaling. Anyway, just let me know. Kathleen, I used a personal size Filofax in grad school and it worked really well for me. My first reaction is, I wonder if a pocket size will be big enough/ give you enough space to write everything you need. I know some grad students use the A5 size to keep it all together. My biggest advice is to have a section where your requirements for completing your degree are listed clearly: any courses you are required to take, papers and their due dates, research proposals etc. Especially if you have more than one advisor (I had 3) you have to make sure everyone is on the same page. They often forget what they agreed on earlier and later may spring new "requirements" on you. I saved myself an extra semester of unnecessary work by writing out what my advisors had agreed on at the beginning of my course, and reminding them of that later. The list of required classes is especially useful when you are registering for classes and discover one you intended to sign up for is already full. You can just look at your list and sign up for a different class that you need. Can anyone else give more advice to Kathleen? Thanks everyone!! I don't know about you all, but my plans were completely derailed this week. It was one of those weeks where all my written plans went out the window. And it's not just me--several other people I talked to said this week was crazy and their plans changed a lot. Something that Filofax planner systems are great for is the ability to remove pages and start over. For example, it looks like my spring and summer will be so completely different from what I expected, rather than white-out everything I've written in already I'm going to just buy a new monthly insert and replace the pages. In a similar line, all the notes and reference material in my Filofax that will no longer be relevant soon can be archived and replaced, so I'm not stuck with irrelevant information in my planner for the rest of the year. How does your Filofax help you adapt when your plans change radically? Greg's question: where do you write your notes? "If people use a personal size or smaller Filo, what do they write all their notes in? The Filo? or do they carry index cards, Field Notes, Moleskine, scraps of paper? I can't imagine not having something besides the Filo. I have been carrying a "reporters" notepad and it seems to work. I replied that in my case, it depends. Basically, I write anything I need to keep with me or want to handle on a daily basis in my Personal Filofax. Anything that stays at home only goes in my A5 home Filo. And when I was working, I had to have separate notebooks and folders for work projects. I kept work stuff completely out of my Filo. Where do you write your notes? I might adapt one of them for my mileage record in the car!!! Being plastic they won't get harmed by the odd splash of rain when I open the car door. I have added a new blog to our blogs list here on Philofaxy (under Links) called Productive Living. Thomas is switching from digital to analog, specifically to a Hamilton Filofax! I look forward to reading more in the future. Ebay tip: set search to "worldwide"
Here is an important ebay tip from our friend colie. Thank you for the heads-up! "hey laurie, i have had an ebay saved search for "piccadilly green filofax" probably for the last 4 years with no exact hits. the closest was a mini version a few months ago. well it turns out i missed a perfect match in november because my saved search was not set to worldwide so it was only checking the us maket. i thought i would drop you a note to maybe remind others that are waiting for an ebay miracle replacement." (And while we're here, if anyone knows where colie can find a Piccadilly green Filofax, please post a comment! Reader needs advice: Domino or Metropol? A reader emailed me requesting I post this question to get some advice and maybe a general consensus: Domino or Metropol? I am about to buy my very first Filofax. I'm looking forward to it, but my big problem is I don't which one would be the best one for me. I live in Belgium, where the in-store selections are limited, so it looks like I will have to order online, relatively site unseen. I'd obviously prefer to actually see one and hold in my hand before buying, but I don't have that option. I definitely want an A5, either a Domino or a Metropol (I'd love to have one of the pricier leather styles, but can't justify the expense right now). I would really appreciate having some people's opinions on the pros and cons of each, along with any other recommendations. I realize it's ultimately up to individual preference, but I'd like some advice from long-time users. Thanks for any help and information you can give me." I replied that between the two, the Metropol has more of a leather-look to it, and is more traditional-looking inside and out. Of course in the end it comes down to personal preference and style, but any advice and recommendations you can give would be greatly appreciated. I just got back from a bachelorette ("hen") weekend in Edinburgh (which was awesome: hydrotherapy spa, constant champagne and delicious food all weekend long). I purposely brought NO planner with me on my weekend away. None at all. For those of you who haven't been following, I am on a quest to decide by the end of the month what planner I will use for all of 2011. Those of you who are interested can look at Plannerisms to see the ongoing saga. I thought a weekend completely away from planners would clear my mind and help me decide. And you know what? The entire weekend, I missed my Deco Filofax. Here it is with the awesome celtic-design pen my kids got me for Christmas! I wished I'd brought my Deco with me to keep me company on the two hour train ride there and back. One of the restaurants we went to this weekend was Art Deco style, and I LOVE anything Art Deco (thus my adoration of my Deco Filo), and I thought how glamorous my Filofax would have looked in those surroundings. All weekend I wished I had it with me to write in addresses, websites people mentioned, reference my maps, and everything really. I missed it like I would miss a trusted friend. My Filofax (this one or one of my several others) has been my faithful travel companion for so many years, I felt lost without it. I've had numerous failed attempts at making my Filofax work for me as a planner. Most recently I failed at using daily and weekly pages at the same time, and using the two days per page format. Both seemed like great ideas at the time, but both quickly crashed and burned. I'm going to let you in on a little secret. About a week ago I made my own planner. I'll post more about it in a few days on Plannerisms. I used it all last week (Calling the Dog with it and my WeekDate planner). When I used it, I got tons done. I focused on my goals, I was very task oriented, and each day I blazed through my to-do list with blistering efficiency. I was grumpy all the time and constantly checking my list for what task I had to complete next so I could cross it off. Even though I got a lot done, it was not the recipe for happiness that I thought it would be. So this week I'm trying another experiment. I will use my Filofax with the normal Week on 2 Pages planner insert. But the difference is this: I'm not going to try to make it more efficient. I'm not going to figure out ways to use it better. I'm just going to use it in a normal, basic way. And if I don't get everything done this week, I'm not going to be hard on myself. I've always loved absolutely everything about my Filofax except for the lack of functionality of the weekly pages (specifically that the day spaces are too small). I wonder if this time it will work, not by making it more efficient, but by purposely NOT trying to be so efficient. I really want to use my Filofax. Because, I miss my friend. I think we all store names and addresses in our Filofax organisers or may be a print out of them from your PC. But how often do you check them? Recently my elderly mother has had to go in to a care home for her own safety and security, but she is in a great place, modern facilities etc etc. So anyway... I was handed the task being the only child to write and tell everyone about my mothers change of circumstances and her new address etc. Well I didn't think it would be too big a task, that was until we found about ten different address books of various ages, but no clue as to which was the current one. And of course Mum can only remember some of the people in the address books. Luckily with it being near to Christmas, we went through all of the cards and eventually I was able to track down most of the people across the address book 'heap' and then add the names and addresses to a new notebook (which in fact Laurie sent me.... thanks Laurie), I also added them to a spreadsheet so we could eventually do a mail merge. So a couple of things I am thinking of adding on my address pages. The first is to categorise each entry, what is their relationship to me (Friend, Business Contact, Relative, etc). I might also add a date on each sheet, so I know when the sheet was last checked for accuracy. How do you manage your names and address lists? A couple of 'news' items, plus a few web links to recommend to you. 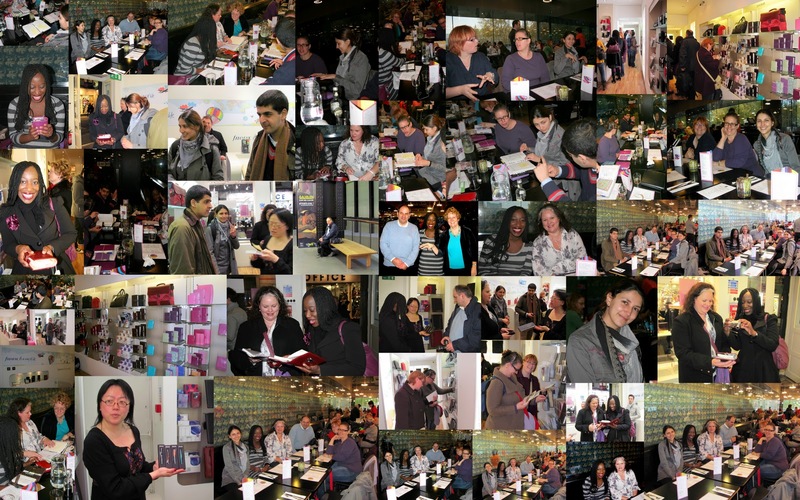 All places are now taken for the Philofaxy meet up that will be taking place in London on 26th March. The places are limited in number because of the small size of the Neal Street Store, but being limited to 10 people also means that we all get to chat with each other and it also makes it easier for us to find somewhere for lunch. I'm really looking forward to the next meet up, must start putting together a shopping list!! Sorry if you couldn't make it this time, but there will be other meet ups later this year I'm sure. Talking of which, our friends over on the German Filofax Blog Filomaniac are discussing the possibility of a meet up somewhere in main land Europe. Take part of the discussion if you are interested. Our dear friend Yvotchka is making good progress with using a Pocket Filofax as her daily Filofax, read her 'Working Without a Net' blog post. Lina of Facebook Filofax Club fame, has been adding to her collection of Filofax Organisers with a Personal Amazona there's a great video at the end of the post too. I'm in UK still for another week, busy with family stuff up in the North West, I will be posting a bit more often once I get back to France, have a great weekend. I quite often see people send out a message on Twitter saying that they have lost their Filofax... disaster! However, did you know that you can register your Filofax with Filofax themselves and if found and returned to you via Filofax then the finder is given a reward, which I believe is a gift voucher or similar. To use the service just log in to your account on the Filofax website and look for Personal Organiser Registration Then fill in your details and they send you a registration number to write in the front of your diary refill. Do it today... it's a Free service. As it's Friday, please feel free to discuss anything Filofax related. I chatted up a woman with a Mini Filofax today. It took everything I had not to be too creepy about it, and I'm not sure I was successful in not creeping her out. At one point I had to back off my questions a little bit. I was fascinated and couldn't help myself! She was in the process of putting in her 2011 diary pages (pink week on two pages) and, being the planner geek I am, I couldn't resist asking her about it. Her Mini was, I believe, a pink Finsbury. It was that exact color, but I wasn't close enough to see if it was the textured leather of the Fins. Like I said, I didn't want to ask TOO many questions. I nearly asked her if it was brand new, and later she mentioned she's had it for 3 years. So, bonus points to the Filofax for holding up so well. She doesn't use the Mini as her wallet, as some people do. She does use the bill pocket to hold receipts from when she uses her credit card (which she does keep in her Filofax) which I thought was pretty smart. Well searching around the web for anything Filofax related is always an enjoyable task and it is a pleasant break from my tasks this week in UK. Filofax P**n - Help me decide!! - Make Up to Make Out - the tale of trying to decide between two Filofax Pocket organisers, oh just keep them both Lina!!! Is Making a To-Do List Worth it - Self Works - My answer would be yes, but take a read, some useful tips in this post no matter what you use for your To-Do lists. January 15th deadline: Filofax USA Designer's Challenge! Don't miss your chance to design a Filofax! If your design is selected, Filofax will produce it for international distribution! But you have to hurry, entries must be postmarked by January 15th to qualify. Click here to see the Filofax USA Designer's Challenge site for more information on how to enter! I couldn't think of a better title for this post, so let me explain what I mean. When I use a Filofax for keeping lists, notes, tracking projects etc. I tend to start writing on the front of a piece of paper and continue on the back side of the page, to keep each topic on its own distinct leaf of paper. However, when I use a bound notebook I tend to write on the two-page spread. The Filofax page method has the freedom of moving each page to a different location within the Filofax, archiving it elsewhere, or removing it altogether. The limit is seeing thoughts and projects on only one side of a page at a time. The bound book freedom is seeing thoughts stretched out across a larger spread. The limit of course is that those pages aren't going anywhere. Do you tend to write on the front and then the back of distinct leaves of paper in your Filofax? Or do you write across the two-page spread and then keep those pages together if you move them somewhere else? They still have their 50% off sale running too at the moment and Philofaxy is donating all of the commission earned from sales this month to the Breast Cancer Awareness Campaign, so click on the link below if you are buying anything from Filofax UK. Is there a better way to use your Filofax Diary? Are you using your Filofax diary correctly, is there a better way? I think you will agree with me that we read/hear a lot of comments from other users about trying to find the right dairy refill for their Filofax Organisers. 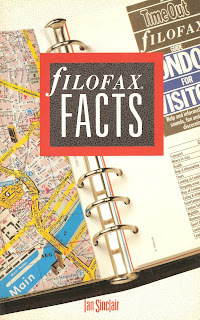 We look at all the different Filofax sites and spy out other formats. I think we are all making the same mistake, or most of us are, because I have evidence of one person using their Filofax exactly as the original designers intended it to be used. I need to see my week/month laid out before me. I'm sure there are other 'reasons/excuses' but those are the main ones. So what is a diary? Is it a record of the past? or a way of planning future events? or both of these activities? Personally I like to separate out the two functions. One for past events and another for future events, but could I combine them in to one? A diary is a record (originally in handwritten format) with discrete entries arranged by date reporting on what has happened over the course of a day or other period. So that seems to suggest 'the past' rather than the future. Why not think about your diary insert as a record of past events, and may be use some of the planner sheets for organising future events. 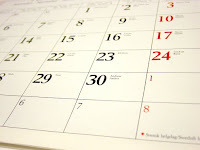 A diary insert imposes some restrictions on your own organisation because it is pre-dated and because the space for each days events is also limited to the format you have chosen. However, because your Filofax is a loose-leaf planner, do you need to keep a full year in the diary section at any one time? By archiving your diary sheets in to another Filofax organiser, then you would only need to keep say 3-4 weeks in the diary section at any one time? If you find you can't adjust to the idea of not having the full 12 months of your diary in your Filofax, you could try recycling diary pages to the end of the year. So 'this week' is always at the front of your diary section, by the end of the year your diary will be back in the original order. By using a dated format that say gave you enough space for a normal days worth of diary recording, then you could use undated sheets for days when you have something additional to record. Mixing dated and undated pages to cope the peaks and troughs in activity. This might mean that you could use a diary insert that uses fewer pages. When we are planning future events, the same principle could apply, using undated planner pages, rather than using the pages in your diary to record the details on, but only on days when we have events and appointments booked. No need for a lot of blank pages for dates when nothing is booked? By using planner pages in this way you can afford the space on a page to go in to greater detail about the event/meeting you are planning or attending. Having a year planner will help you find free days because you can indicate with a coloured mark on days that are already booked in some way or other. The Filofax Organiser when used like this is far more flexible than say a bound planner, because you can vary how many pages you dedicate to a single day or week or month. The number of pages can expand or contract to suit your needs. Add in other sheets such as to-do lists and a contact list and you have a very versatile planning/journal system at your finger tips. These ideas came to me after reading the Filofax Facts book, which details the differences between dated and undated diary and planner sheets. When the Filofax Facts book was written in the late 1980's the number of sizes of organiser where somewhat restricted compared to what sizes and ring capacities we have today. The Personal size Filofax would have been the most popular size sold back then. Even today that size has more diary and planner page options than any other size. However, if you chose to start using undated pages they are very easy to create yourself for say an A5 organiser. In whatever size you choose to use, think of the space you could liberate! For those of you that are using your Filofax Organiser for planning the busy social lives of children then may be a diary insert is the only answer? But if it's just your own life then may be some of my ideas might improve the way you use your Filofax and potentially reduce number of pages you are currently utilising in your Filofax, for recording and organising your life. Finally, I toyed with idea of starting this post with 'I can show you how to use a Filofax Mini to record your next four years worth of appointment entries'.... but then I thought you would may be start to think that I had been on the French wine a little too much over the holidays!!! The Daily Planner is offering 25% off on all Filofax merchandise until midnight on Monday, January 10. I've frequently ordered from The Daily Planner, and have found their service very good. Sometimes they even have discontinued refills in stock that you can't find on official Filofax websites! As always, feel free to talk about any Filofax topic this Friday, but here's a suggestion: do you use a Filo for any of the health and fitness resolutions we're all making this time of year. For example, I use a pocket Finsbury with a 2-day-per-page diary to record weight, exercise sessions, and water consumption. Or are you counting the days for January to be over so everyone will stop going on and on about fitness? Just released..... a review of the A5 Finsbury. I'm planning another Philofaxy Meet Up in London on Saturday 26th March. I will be back in UK that weekend so it will be a good chance to meet up with people again. Numbers are likely to be limited again, so please only apply for a place if you are sure you can attend on the 26th March. The actual arrangements for the day are in their very early stages but it is likely that we will meet up at a convenient meeting place, have lunch, discuss our organisers alot! Then to finish off the day visit a Filofax store more or less as we did back in November. The Pen Shop at Jenners in Edinburgh, and discontinued Filofaxes! Last week I spent a couple of days in Edinburgh seeing friends, and decided to pop in to Jenners department store on Princes Street in Edinburgh to see if I could say hi to Craig, the manager of The Pen Shop. I found my way up to the 2nd floor and over to the Filofaxes like a moth to a flame. Then I marched up to the first male I saw and asked, "Are you Craig?" Luckily for me, he was. I introduced myself and felt slightly famous when he said, "I recognize your face." 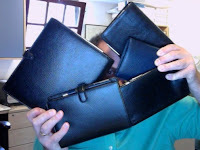 Craig was busy, but he very kindly took the time to show me their (excellent) Filofax selection. He also pointed out a whole bunch of Filofaxes that are on 30% discount because Filofax UK has discontinued them! Hold onto yourselves, I was shocked at what organizers are being phased out! I wrote a list so I could report to you in full what Filofaxes you should panic-buy (I mean say goodbye to!). You might have known this already, or guessed it based on the deep discount online, but the entire Amazona range has, sadly, been discontinued. The Cuban organizers in the Ink color are on their way out! It's a shame because this deep, rich blue color is so beautiful. The Malden in Crimson is discontinued!! ACK!!!! So are the Chameleons in Spring Green! ALL of the Adelphis are no more! The Domino binders in Lavendar are being phased out. So are the Finsbury organizers in Aqua! I was so surprised about this since the Aqua color is so new. I think all of the Mode binders are discontinued. And, the Sienna binders are discontinued too. I'm proud yet also disappointed to say I somehow resisted the strong urge to buy any Filofaxes, even the discontinued ones. But my daughter wouldn't let us leave without buying a Hello Kitty wall calendar! I didn't have nearly enough time to peruse The Pen Shop's line of beautiful pens and stationery, but it's definitely worth a trip in to Jenners to check it out. Many thanks again to Craig for taking the time out of your busy day to talk to me, it was really nice to meet you in person! January certainly is a busy month for people reorganising their Filofax organisers. There's nothing better than looking at some one else's organiser to see how they have set it up to give yourself some good ideas... far better than stirring at the Filofax on-line website!! Thanks for all the links you have sent us in the last 24 hours! Archiving the Years - Life Well Planned - Kanalt continues her series on her change over to this year. Day 40 - Yvotchka's Daily Truth - On Day 40 Yvotchka pledged to not buy any more Filofax organisers... we will check up on this one later in the month/year!!! A new page appeared on Facebook this afternoon. 'The Filofax Club' take a look and if you 'like' the page, when you introduce yourself, please mention that you saw the link on Philofaxy. I'm not sure who is behind the 'Filofax Club', but they look like a fun bunch of people and they also seem to be very active on Twitter too. I find revisiting previously discussed topics often springs up some new ideas that may not have been discussed before. This morning for instance Giovani from Brazil sent me a link to an article in the Wall Street Journal - Five Tips for Managing Your To-Do List I found it a very useful article. Take a read for yourself. The previous articles on To-Do lists on Philofaxy are also worth a revisit. Have you discovered any new ways of organising your To-Do lists? Japanese fILOFAX Blog - If you open this page up using Google Chrome, then the page will get translated for you. 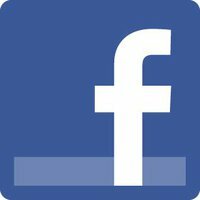 I have tried in the past to create my own Personal pages, but without a lot of success. I made the mistake of trying to create them on normal A4 paper and then cut out the pages. A4 is big enough for 3 Personal size side by side with a border around them. The problem I had was aligning the front and back of the pages so when printed out the Personal pages were perfectly aligned. What I never thought to try was printing directly on to Personal Size plain paper. Well after we published 'Nellie's' Book o Fax post, Alison asked how 'Nellie' printed out her Personal Pages. 'Nellie' has kindly sent in a file that explains it all. I've put it in the files area. I have tried out this technique on a page I created this afternoon a personal size recipe insert and it works fine. Print one side of the paper, turn the page over manually and print the other side. I only tried printing one sheet at a time. How well your printer will feed such thin paper will vary from printer to printer, I used an HP LaserJet 2055dn and put the paper in the manual feed tray with the guides set to the narrow width of the paper. I don't print off many personal pages but having the facility to do it now, I will be creating more personal pages, which of course will appear in the files area. I came across this book on Amazon, it was published in 1988, so it was written very much in the 'hey day' of Filofax that we now think of as being 'Vintage'. Although as we know or will learn, 1988 is still fairly 'recent' in terms of the overall history of the company. The company has of course changed hands several times in it's history which dates back to 1921.... 90 years this year.. The book is some 150 pages, published by David Fulton Publishers Ltd. ISBN 1-85346-106-7 I'm not sure how many copies were printed or sold back in 1988. The copy I bought from a third party seller on Amazon.co.uk is in good condition, one minor crease on the back cover but otherwise like new. The 1st chapter covers the history of the company from 1921 through the war years until 1988, the next chapters describe the numerous page inserts that were available back in the 1980's, a lot of them I remember, although I didn't use all of them! But I will describe them in more detail later in this post. And the final chapter describes the actual organisers themselves which didn't have as many style or size options as we now have! However, I did pick up a few tips from the book which I will share with you in the next few days/weeks. It's going back to this era that made me realise how the company intended us to use certain refills that made me think that may be we aren't using them in quite the way that they were originally intended, so watch this space! Details how the brand came in to existence and it's early history under the company called Norman and Hill Ltd. It includes how Grace Scurr saved the company when it's office was bombed during the war because she had all the customer records in her own Filofax that she took home every night. The details of what happened to the company during the war and in the years that followed up until 1988. 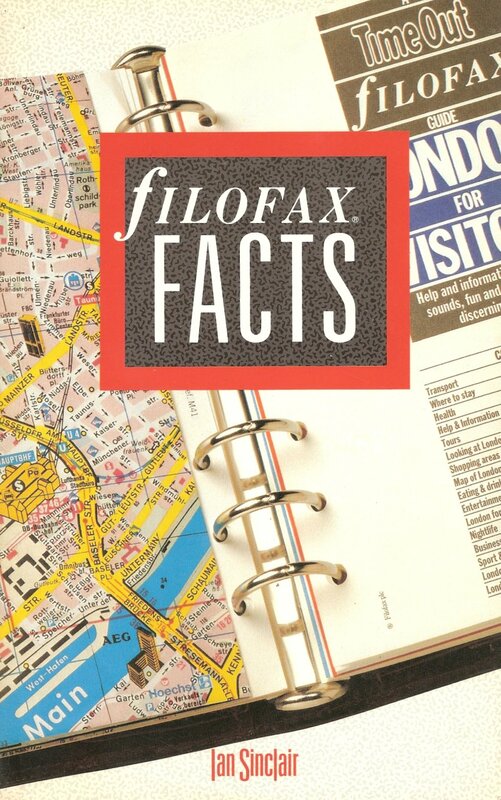 For a more detailed and up to date history you need to read the Chronology of Filofax by Kevin Hall. This chapter outlines the diary inserts and how they might be used. The diary inserts available in the 1980's aren't that much different to those we see today. There are a few interesting differences, there were more undated pages available back then. I will go in to more detail about how they were intended to be used in a separate post. Year Planner - Horizontal format, which is limited in terms of space for each day, the days are vertically aligned to the same day of the week. Year Planner - Vertical format, which has a larger space for each day to write in. Days are horizontally aligned according to the date in the month. Month Planner - The sheet is in a horizontal format with a column numbered 1 - 31, and separate columns for Morning, Lunch, Afternoon and Evening, plus some blank columns for times and one for you to write in what the day of week the dates are for. Most used telephone numbers - a paper version of speed dial! Restaurant review sheet, with details of the restaurant, services offered, location, notes, contact information, name of the maitre'd. House entertainment - similar to the function planner sheet but on the back there is space to draw the table layout and who will sit next to who. Shopping list, this is broken down in to meat/fish, vegetables, canned food, drinks, bread and cakes, groceries, household items. Only for use by the butler I would think! Tasting Notes - The follow on to your Cellar Notes, but with areas to record its appearance, nose, palate and conclusions.. ditto this one! Personal Services - a list of contacts in places you visit, the taxi firm, florist, tailor, places of worship, dry cleaner etc. Hotel record - similar to the restaurant review sheet, so you have all the details etc for the next time you visit. Customer Records - Full details of your contacts and other details, on the reverse side it includes space to record monthly sales to the customer, with space to record several years worth of data to show trends in sales etc. Customer Enquiry Form - with room to record details such as follow ups when chasing sales. Maps, Tube Maps, Street Plans and International Data Sets are also discussed. This chapter discusses contents of the International and National (UK) Data Sets. I still have these from 1988 in the back of my Winchester Filofax, as they say... Never get rid of anything! Some of these information sheets are now included with each Filofax Diary Refill, but as you can see the amount of information within the data sets was quite extensive. This chapter also discusses Index and Indices, these haven't change much since 1988. 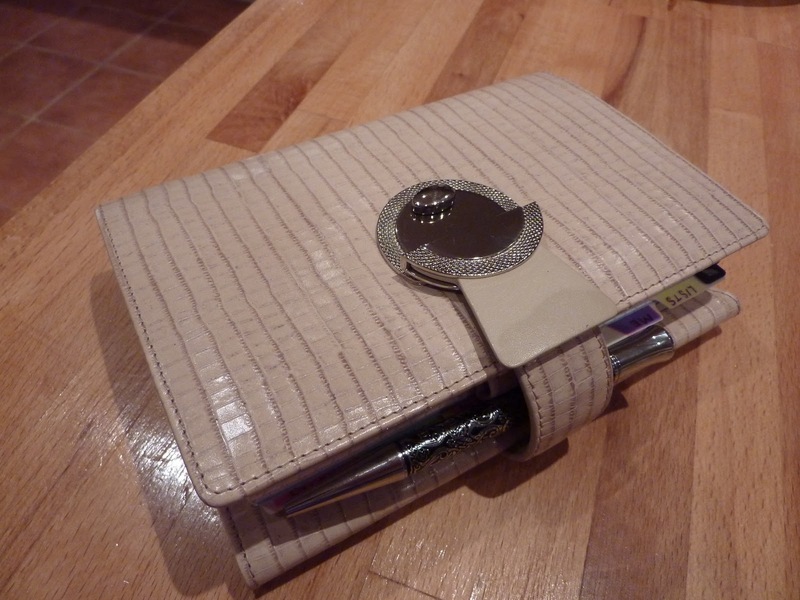 Also discussed is the Filofax matching accessories including the leather change holder that I bought last year. This item was apparently designed by Diane Keaton and Filofax took up her suggestion and produced this item in several colours, so that they matched the colours of Filofax Organisers on sale at the time. Also available was a leather credit/debit card holder, a plastic visiting card/business card holder, a leather cheque holder that was the correct size for Euro Cheques. Long term storage, storage boxes for your unused and archiving of used sheets and diary pages. Photography - I have some of these still. The final chapter in the book discusses the different Filofax Organisers, the types of leather, the sizes of the rings, all quoted in inches of course! I hadn't realised until I read this chapter that the Deskfax had nine rings arranged in three lots of three rings and that Personal size pages would fit between the upper group of rings and the middle rings and also between the lower group of rings and the middle rings, so you could view both levels with some over lap between the two sets of pages. The PocketFax was also mentioned but I believe although this is the same size approximately as our current Pocket size it only had 4 rings not the 6 we now have. So that was a very quick over view of a very comprehensive book on what used to be available back in the late 1980's. I wish I still had a catalogue from that era because I would now be able to understand it a lot better than I did back then! Trying to decide which inserts to buy was quite a task back then, especially for the new comer like myself! The book includes pictures of some of the inserts, which for me is excellent because I should now be able to recreate some of the sheets I have seen people mention on Philofaxy in the past, for instance the Weekly Meal Planner. Initially I will recreate an updated version of some of the older inserts in A5 format, because that size is quite easy to create and print. I will then try to adapt these to Personal size, which is the original size of nearly all of these inserts. Overall I'm very pleased with the book, it is an interesting insight in how particular inserts were intended to be used. The author had access to the insert designers, which was obviously a big advantage. I wonder if Filofax would consider expanding the range of inserts again if they saw how many used to be available, or provide similar guidance to users for the existing ones. In the coming weeks I will pick out some of the inserts and show you what they looked like and how they were intended to be used. There are some useful tips in the book about how you might make better use of the capacity of your Filofax organiser that might surprise you. So do any of you remember any of these inserts? Or is there any of them mentioned above that you would like to see again? Drop a comment in to this post or email me if you are interested in more detail about any particular ones. I've just posted the 2010 Yearbook in both PDF and Epub formats. I've also reposted the earlier PDF files with a more meaningful front page, which includes the year! The files are in the files area, but here are the links below as well. For those of you who have an iPod Touch, iPad or iPhone, you can download the pdf files from within Safari by going to this page. Select the year and when it completes the download you get the option to open it as an iBook (if you have that free app loaded) you can then save the files on your 'Bookshelf' for off line reading! The files are quite big, especially 2010 so they do take a while to open from the web, but once on your device they open quite quickly.